The plot is thickening, Android fans. 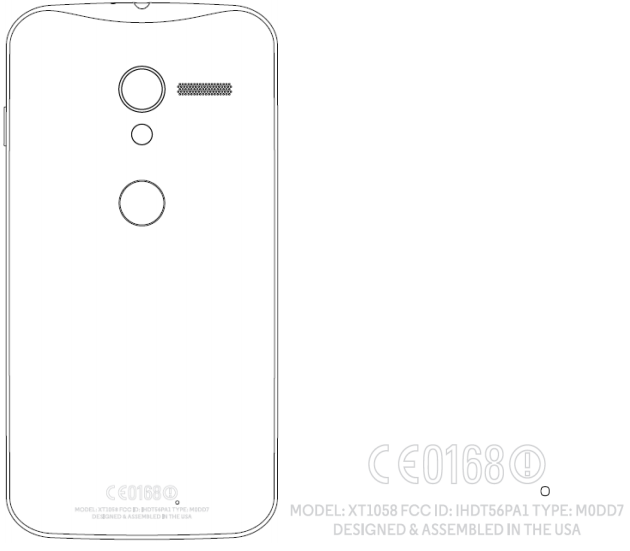 Tonight, FCC documents show a mysterious Motorola device, matching up in design to previous images we have seen, here and here. As far as what is in the FCC report, the only thing we can take away is that the device, model number XT1058 comes equipped with AT&T bands, Bluetooth 4.0, 802.11ac, and NFC capability. Beyond that, nothing else. As mentioned, this device looks eerily familiar to the Motorola “XFON” we have seen pictured before, but of course, nothing can be certain until its made official by either AT&T or Motorola. The timing is an interesting factor, since Google I/O is just days away. Guess we will just have to remain patient.